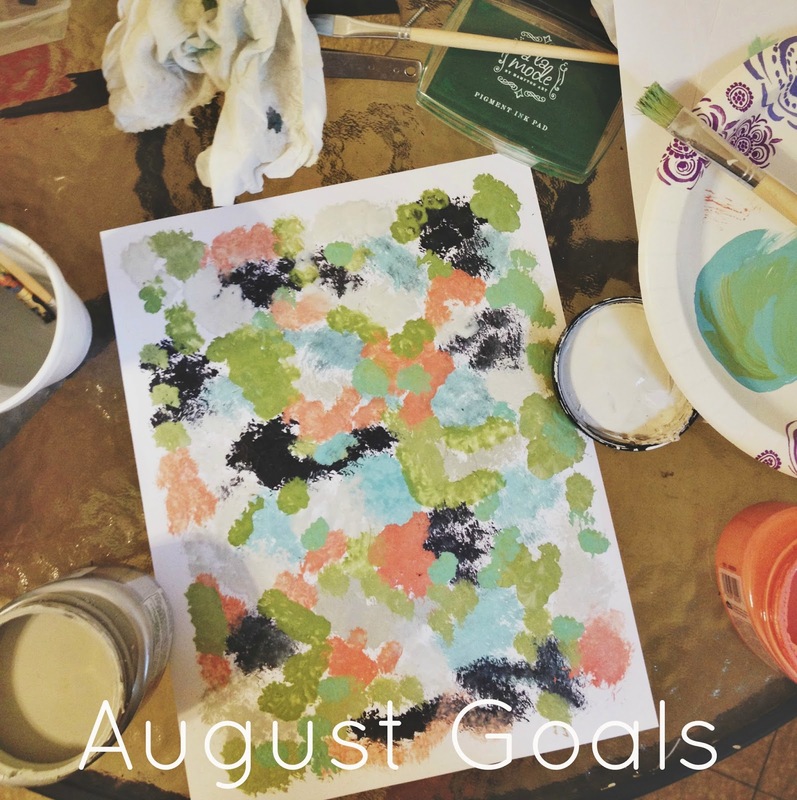 So, let's just say that July wasn't the best month for getting my goals finished. I could blame the crazy arrival of Mac back at our house (which actually did throw us off a bit! ), but I think that summer just feels less structured. For me, it's hard to get stuff done when life feels a bit scattered! Make a house project list. Kinda did this. I wrote it down, but I'd like to actually type it up and put it somewhere. Take time to really evaluate the print shop. Did this. I decided to go big or go home. I was hesitant to offer hard copy prints because of the extra shipping + printing process. But now that life has settled a bit and the PO is a walk away (plus, I got lots of cute shipping supplies! ), I felt excited to launch this new aspect of the shop. Outline a super secret idea and see about making it happen. I didn't really take the time to do this (I kinda forgot!) I think right now, as much as I like the idea, it needs to simmer on the back burner for a bit. Paint hallway and main bath. It just needs to get done. It won't take too much time, but I just need to grab the paint and go for it. However, I need to remove painted over wallpaper in the bathroom--which will not be fun! Do 10 minutes of Pilates/Yoga/Walking per day. This is very doable. It's not a lot of exercise, but it still matters. Yay, congrats on deciding to offer printed pieces! Loving your designs. I hope to one day expand my shop by offering printed pieces as well.